As Carrie Bradshaw once said “…it’s just a little bag, but we’d feel naked in public without it.” Admit it kitty cats, truer words have never been spoken. We treat our handbags like small children, even going so far as to give them our seat on the subway to ensure that their petite bodies are not bruised and beaten by the quick jolts. And now one (1) of you lovelies has the chance to add a new one to her arsenal of accessories! Café Fashionista has teamed up with the fabulous OUFI to bring one (1) of you glamazons the irresistible NISHA bag (pictured above). Retailing at $195.00, NISHA is constructed out of Genuine Leather, and features not one, but two side pockets with buckles; in addition to a double-zip top, an interior zip pocket, cell phone pocket, and a large pocket across the width of the bag sporting a magnetic closure. And now one (1) of you will be taking her home! ♥For one (1) entry, Fan/Like OUFI on Facebook, follow OUFI on Twitter @OufiLondon, or become a follower of the OUFI blog, and leave a comment on this post saying you have done so between now and Monday, August 9, 2010 at Midnight PST. ♥For two (2) entries, Twitter about this giveaway, and leave a comment on this post between now and Monday, August 9, 2010 at Midnight PST. ♥For three (3) entries, become a follower of Café Fashionista on Blogger/Google Reader/Google Friend Connect/Twitter, and leave a comment on this post between now and Monday, August 9, 2010 at midnight PST. I will randomly pick one (1) name out of a hat (who knows, it could be yours! ), and announce the winner on Tuesday, August 10, 2010. Thanks to OUFI for the picture. what a beauty! this is a giveaway i cannot resist. count me in! ps - i am a follower...of course! I'm now following @OufiLondon on Twitter. I am not following OufiLondon on Twitter, tweeted about the giveaway, subscribed to the blog and friended on facebook. What great bags! Thanks for doing this! I'm a follower of yours and I would LOVE to win this! i am a follower of oufi on fb, twitter and their blog. love this bag! i need a new bag! what a fabulous bag and a fabulous contest!! i followed them on twitter, liked them on facebook and retweeted this amazing contest on twitter!! Great giveaway! I am a follower! I am a true follower. I "liked" OUFI on facebook. amazing giveaway! I've RT on twitter! oh I'm a follower too! I follow OUFI on Twitter. I follow you, too of course! I became a follower of the OUFI blog and I am already a follower of your blog!! Like Oufi on the Fbook! I heart this bag!!!! I tweeted this giveaway with the username @skirtstoskillet! I follow you on google, twitter, facebook!! definitely following your amazing blog!! ooooooh! i adore that bag!!! it's so cute!! i would love it! i'm a follower! followed oufi on their blog and FB! I follow OUFI on twitter, fb and their blog! That is a gorgeous bag. OUFI is a new name to me too. I'm now following their blog. i couldnt resist submitting an entry. i am a follwer of the OUFI blog & Cafe Fashionista of course. Its such a lovely bag! I follow via blogger and twitter. I already follow you here. I'm most definitely a blog follower. Great bag! 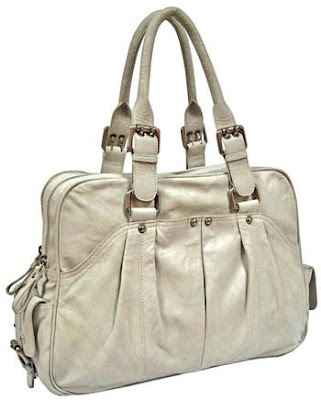 This bag is so cool and a girl can never have too many bags! Hehe. PS. You know I'm a follower! i just made a tweet about this fabulous giveway! That is a fabulous bag! I love the color. I'm a follower of OUFI now. I love this bag! I am a follower. Never underestimate the importance of a good bag! I meant to say I follow them on twitter but I follow you on twitter too so I follow both and I follow your blog GFC. Thank you and have the best week ever. Hey,Thanks for the chance to win a fabulous bag too. i follow oufi on twitter! Love, love, love this bag! How generous of you! Thank you for such a lovely opportunity! Just tweeted to my followers! Thank you! I posted it on twitter too. Another lovely giveaway darling! I'm their facebook fan! Of course I'm a follower my dear! I am a follower and a follower on twitter...great, great giveaway!! omg i want and need this. perfect for new job. Want this! I am a fan on FB!!! Ummm, I'm OBSESSED with this bag. I follow, dear! I "liked" the page on facebook and am a follower on Twitter and am a follower of Cafe Fashonista on Twitter!! What a very cool bag. Perfect for Fall and anytime. Followed their Twitter and Blog, gorgeous bag! I'm a follower! great giveaway, thanks! Great bag and love your blog too! I just became a follower and a fan on facebook. LOVE LOVE LOVE the bag!!! I want it! I became a foller on Twitter & retweeted about the contest! This bag is fantastic, enter me please!! Following you via GFC of course! Im the newest follower of OUFI! What we do for purses I tell yeah! I am following Oufi on Twitter- @butterflyrouge. I really really really hope you pick me, because this is the perfect bag for me! I'm a follower of the OUFI blog! What a STUNNING bag. I'm a follower of Café Fashionista twitter!! I never wanted to win a giveaway as much as I am now. I'm a fan of OUFI at facebook. I'm a follower of cafe fashionista through google. such a pretty bag! i'm now following you and @OufiLondon on twitter, and have twittered accordingly - sign me up for 3 entries, please! I love the bag, and of course I'm a follower! Oh my goodness this bag is spectacular! This is the perfect handbag! I am new to your blog and am now following! :) ITs so much fun! I became a fan of OUFI on facebook. I have become a fan of Cafe Fashionista. The bag is positively gorgeous! I'm following oufi on twitter. I twittered about the giveaway. public follower of oufi's blog. oh so pretty! I've been looking for a new purse and this color is the perfect neutral. I'm a fan of Oufi London! I'm a follower of Oufi London! I tweeted about the Fabulous OUFI Bag!!! Yay! We're connected on Blogger/Google Reader/Google Friend! Thank you for such a grand opportunity!! Finger are crossed! Last Day! So I decided to send out on a "Last Day" Tweet! So excited! Thanks again for the chance to Oufi Bagged! I'm a follower! Omgosh I want this. I'm a follower of your blog and I like OUFI on facebook! Cute bag!! followed through google and Oufilondon twitter already!